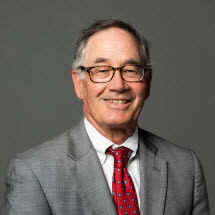 Jim began his career at Lindhorst & Dreidame as a law clerk in 1979. Upon his admission to the bar in 1981, he was hired by the firm and has been there ever since. His is a litigation practice. He has represented all the railroads in Cincinnati in FELA, trespasser, crossing and all other litigation. His practice also includes representing parties in products liability, personal injury, wrongful death, class action and toxic exposure cases. He represents real estate brokers and agents in civil litigation and administrative proceedings in Ohio. He also represents trucking companies in litigation throughout the State of Ohio. Throughout his career, Jim has been called upon to make a rapid response to various accident scenes within hours of the accident to coordinate the investigation and preservation of evidence. Jim has also been involved in representing commercial and residential construction companies, as well as home owners, in construction disputes. In his approximately 35 year career, Jim has tried numerous jury trials in the state and federal courts in Kentucky and Ohio, representing both individuals and companies in litigated matters. His extensive trial practice in these jurisdictions makes him uniquely qualified to represent businesses and individuals in litigated matters. Jim has presented continuing education courses to lawyers on a variety of topics over the years. He was a member of the Cincinnati Bar Association's Grievance Committee for approximately fifteen years assisting the Cincinnati Bar in investigations of lawyers accused of ethical violations. In his spare time, Jim enjoys being with his wife and children and grandchildren. He also enjoys playing golf and looks forward to the day he can best his wife and sons over 18 holes.